Essential Oils are compounds that are found in many plants. These oils have a pleasing scent and provide wellness by means of inhalation, skin application and/or internal use. Essential Oils are not new, although their popularity has increased recently as the world rediscovers the wellness properties of the oils. Essential Oils have been used throughout history. Why would I want to use essential oils? There are many at-home applications for essential oils. Essential oils can be used to replace many wellness, beauty and household products. For instance, you or someone you know may suffer from conditions that are made worse by the use of drug store household air freshers. Essential oils provide a way to maintain a clean and fresh-smelling home without the irritation that can be caused by conventional cleaning and air freshening products. If you are seeking natural alternatives to the usual drug store brands of beauty products and personal care toiletries, essential oils are your ticket to inexpensive, homemade products. By making your own lotions, shampoos, sunscreens, etc you get to control what goes into the product. One of the most popular reasons for using essential oils is to benefit from the wellness they support. I, personally, use essential oils for headaches, PMS, IBS, anxiety, better sleep, acne, scrapes, stress and immune-support. Others have found relief from allergies, weight loss support, pain suppression and more by using essential oils. Young Living is an essential oil producing company based in Lehi, Utah, USA. They began operation in 1993. They have farms around the world where they grow the plants from which essentials oils are produced. Why would I want to use Young Living Essential Oils? Young Living Essential Oils are sourced from farms with the highest quality soils. Founder Gary Young has made it the mission of Young Living to offer therapeutic-grade oils. While you may find essential oils on Amazon or at your local health food store, they are likely perfume-grade oils and do not offer the same wellness benefits that are found in Young Living essential oils. When I began research popular essential oils companies, I discovered that the quality of essential oils I was looking for was found only in Young Living essential oils. Young Living’s oils are free from alteration and are pure, therapeutic-grade oils. How do I get started with Young Living Essential Oils? 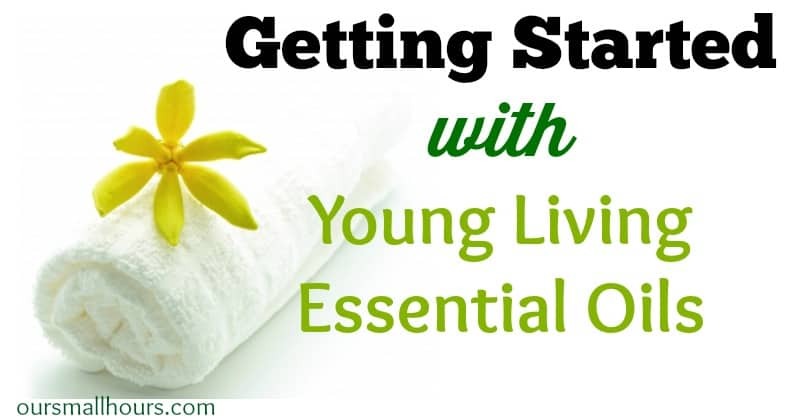 Getting started with Young Living Essential Oils is easy. Sign up here to become a wholesale member or sign up here to become a retail customer. Once you’ve signed up, you can begin purchasing high-quality, therapeutic-grade essential oils! What is the monthly cost of Young Living membership? There is no monthly cost associated with becoming a Young Living retail customer. You may purchase as many essential oils as you need as often as you need them. For wholesale members, there is a 50PV (point value) per year minimum purchase required. That’s it! What are the benefits of wholesale membership with Young Living? A wholesale membership with Young Living allows you to save 24% on your essential oil purchases. In addition, if you should decide to share your experience with essential oils with your friends and family, you can earn commissions on their purchases. You have the same access to all of the Young Living essential oils whether or not you become a wholesale member. Becoming a wholesale member does not require you to share your experience with the essential oils or to purchase a certain dollar amount each month. However, becoming a Young Living wholesale member opens the door to other savings and earning opportunities should you decide to take advantage of them. It just makes financial sense to become a wholesale member, regardless of your intent to tell others about essential oils. If I sign up with Young Living, do I have to sell the oils? Absolutely not! There is no requirement to sell Young Living essential oils whether you sign up as a retail customer or a wholesale member. Which oils should I purchase first? Of course the first oils you purchase and use will depend on your personal needs. However, I always recommend the Premium Kit because it comes with the Every Day Essential Oils collection. These are the most popular oils that most people use regularly. When you purchase the kit, there are several goodies included (such as the diffuser that I use every single day!) that make it such a good buy. Where do I sign up to purchase Young Living Essential Oils? Sign up here to become a wholesale member or sign up here to become a retail customer. Still have unanswered questions? Send your questions to OSHessentialoils@gmail.com. Want to learn more about essential oils, including recipes for cleaning, beauty and wellness products? Join my Facebook group here!